You don't have to catch a ride with a rocket to get your hands on some space stuff. 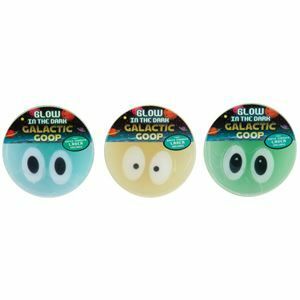 This ooey, gooey galactic goop (space slime) glows in the dark! Just super charge it with the included ultra-violet light and watch it glow before your eyes!